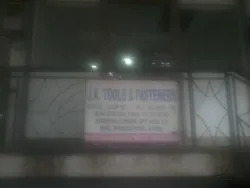 J. K. Tools & Fasteners was established in the year 2003 as a professionally managed manufacturer specialized in providing premium grade Tools & Fasteners. Today, we aim to transform the industry by manufacturing a wide gamut of quality products, which includes Traub Components, Press Components, Metal Washers, Plastic Washer and many more. Our right to success is trademarked by the offered quality products that earned us enormous recognizance for its great strength, wear and tear resistance, specific dimensions, flexibility and durable finish. Our products obtain their wide application in architectural fittings, hardware, automobile and telecommunication. We are striving towards technological development through a dedicated, firm and energetic team of people to satisfy the most poignant requirements of customers. As a result, we have been providing the highest-quality steel products to some of the world's most recognized manufacturers. Our efforts are determined with the objective of industrial leadership that provides our team members to build customized products. And, to achieve this, we have produced modernized R & D centers and modern age fabricating facilities. Moreover, the facility is classified into multiple functional assemblies like procurement, engineering, production, research & development, quality testing, warehousing & packaging etc. Our organization is supported by an accomplished team of professionals which supports in accomplishing the specific goal of the organization and maximum level of customer satisfaction. Our quality controllers are well-versed with the global standards of quality and also guarantee that our entire production process is handled in observance of the same. Besides, we are backed by a broad distribution network that empowers us to produce clients’ consignment within the stipulated time span. Behind our immense accomplishment lies the absolute devotion of Mr. Sainath whose commitment and hard work have granted enormous glory and reputation in the market. His acumen to learn extra and update their skills has guided our firm to newer peaks of success and achievement. Close collaboration: Our team works by our customers' side to understand their requirements and meet their expectations for any new development part. Cost reduction and optimization: through our quality you will achieve better life of the parts and with our competitive prices you will benefit not only in cost savings but also in a better and stabilized process. We have grown a skilled and hardworking team; who assist us in accomplishing our goals. They manage the complete production process of our firm. Our engineers help us to handle all the production process easily without any imperfections. The quality auditors are essential parts of our team, they make positive that our product and manufacturing process matches international quality standards. Our team also includes technicians, R & D executives, quality examiners, warehousing specialists and marketing executives. 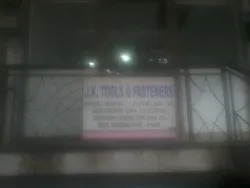 They operate in complete coordination with each other to produce quality Tools and Fasteners. Their hard work has encouraged us to gain reputation in the industry.